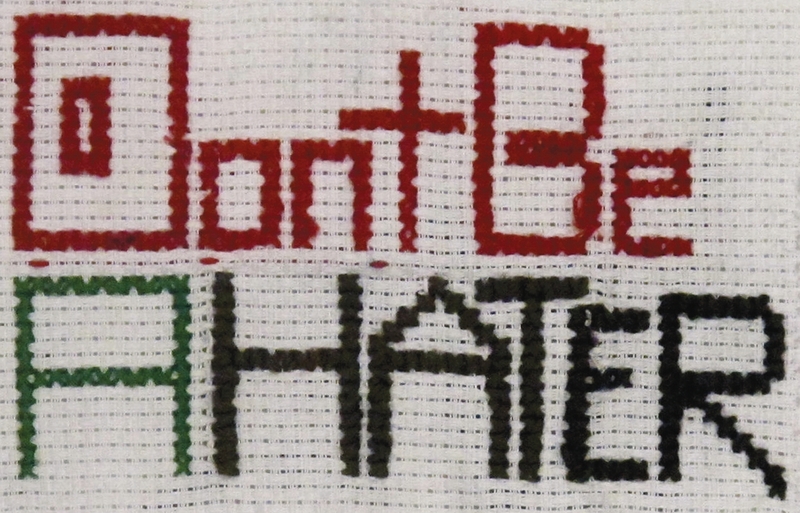 Brooklyn students embroider their ideas: Part 6 | Be Nice. It can be hard to be positive all the time, but the important thing is to try. Looking on the bright side is a good quality to have. 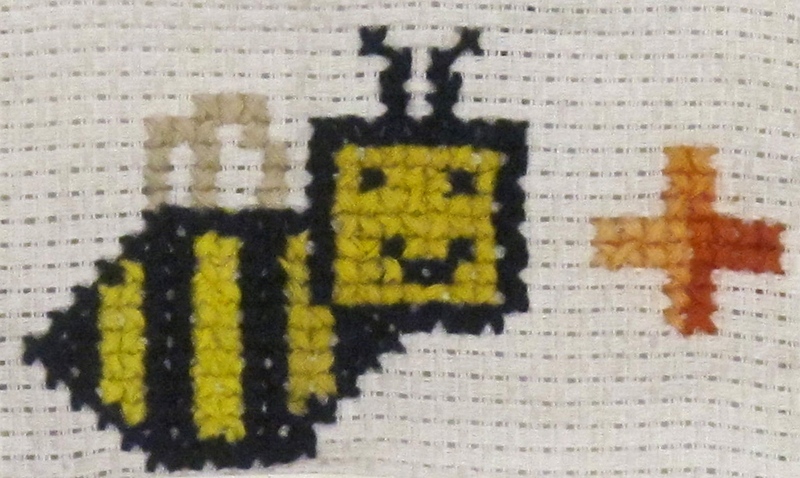 I really enjoyed the symbols on this piece–the bumble bee was really nicely done! I totally agree with Alyssa. We should all be more accepting of others and celebrate their successes rather than dislike them or dismiss their achievements. Well sewn! This is a lovely image, and very beautiful script. I enjoy the variation in color and the way Hannah reversed the colors in the heart designs. I like to think we should not just forgive others’ mistakes, but our own errors as well! I love all of these. You are a huge inspiration! The students did a fantastic job coming up with statements and addressing them visually. Awesome, awesome.